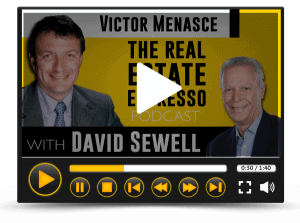 Home » Newsletter » What Is Specialty Coffee? And What’s in it For You? What Is Specialty Coffee? And What’s in it For You? Panamanian Specialty Coffee is a hot topic right now. 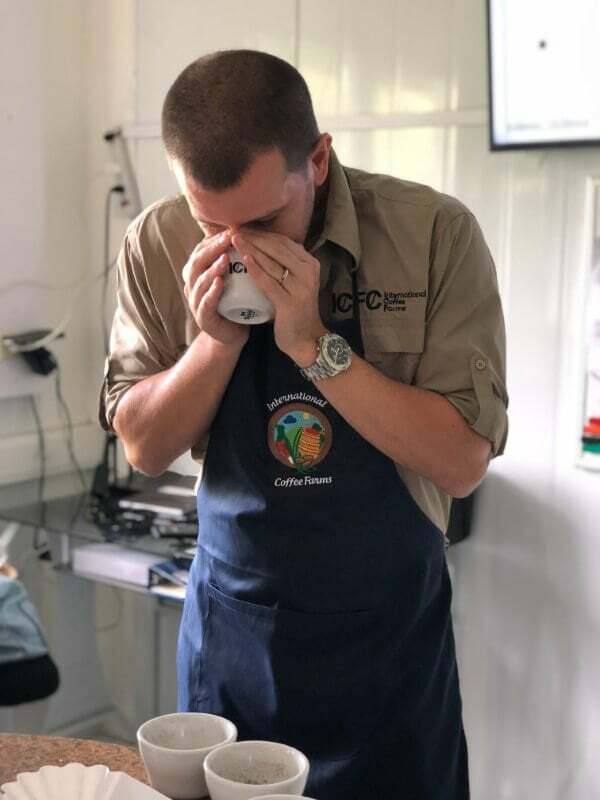 With Geisha from Boquete, Panama setting new world records and selling for $801 a lb, everyone is suddenly talking about Panama´s specialty coffee. Would you like to ride the crest of this Specialty Coffee wave and make passive cash flow at the same time? 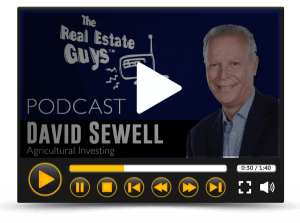 By owning half acre parcels in our Specialty Coffee farms… You can! But what is Specialty Coffee? How is it different from what you buy in a Folgers can or the regular coffee you buy at the supermarket? The difference is how it is grown, harvested and processed. Here at International Coffee Farms (ICFC) in Boquete, we manage our coffee all the way from the seed to the cup. Taking full control over the entire value chain to ensure we produce high quality, zero defect fully traceable Specialty Coffee. It starts at the nursery. Choosing the correct altitude to build your nursery, the correct soil for your seedling bags and the best seeds of the most in-demand varietals. When ready to plant, coffee trees need to grow at an altitude range of between 1,300 and 1,900 meters to produce specialty coffee. Each tree is then managed individually, by hand. When it comes time to harvest, each individual cherry is hand-picked. Not all cherries ripen at the same time on each tree so the local native Indian workers meticulously hand select only the perfectly ripe cherries, being careful not to damage the branches. When humans are involved there is always a margin for error, so we have state-of-the-art coffee processing equipment in our beneficio (coffee processing mill). These machines separate any under-ripe or over-ripe cherries. At this stage the beans are bagged and rested in a purpose-built room where we can ensure the internal climate is maintained, for up to 3 months. This is a crucial stage often over-looked by commercial coffee farmers, who want “cash now” by selling before this resting stage is complete. During this resting period the coffee develops its unique characteristics and complex flavour profile, resulting in specialty coffee. Before and during this resting process the coffee is taken to our proprietary coffee testing laboratory. 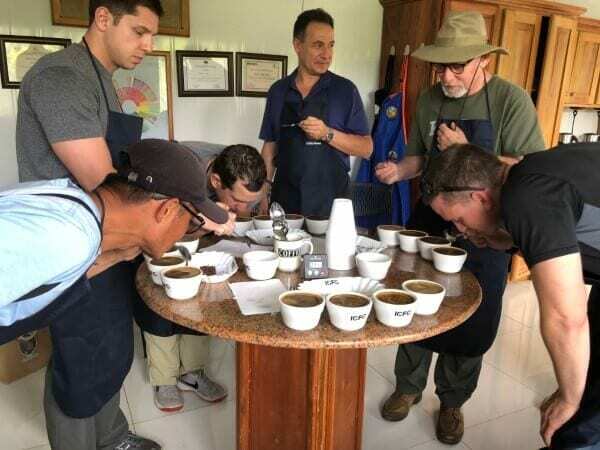 Here the coffee is roasted and evaluated according to very strict protocols established by the Specialty Coffee Association. The green coffee samples are meticulously examined to remove any beans with the slightest defect. 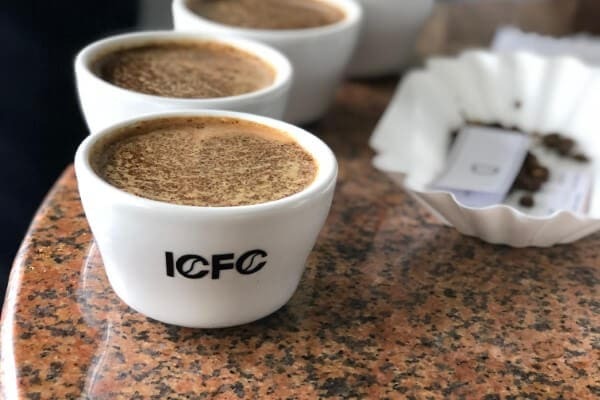 The coffee is then roasted to a specific universal standard, ground to an exact level of coarseness and placed in a specific type and size of cup. From here we can evaluate the fragrance. Then after adding a precise ratio of water to coffee, heated to exactly the right temperature, we can evaluate the aroma. Then, time to taste the coffee! 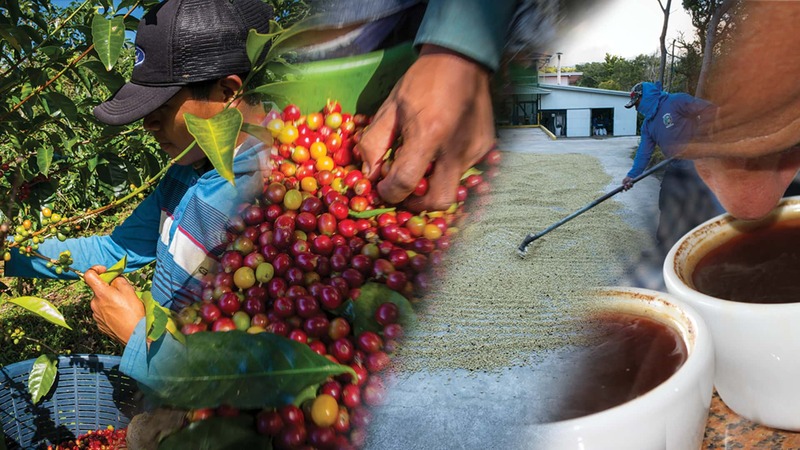 You need to be a certified coffee grader to officially evaluate and grade specialty coffee. It is an intense and difficult course to train the taste buds and senses. 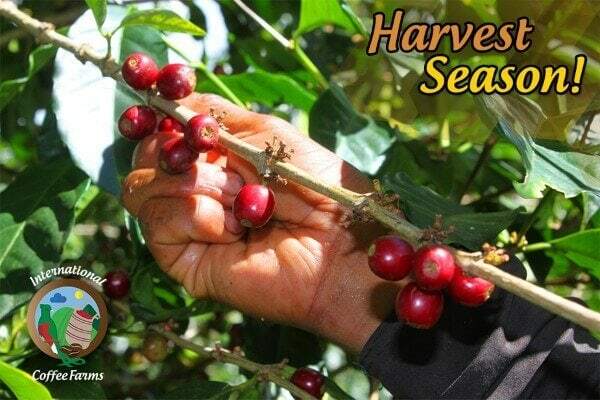 A skilled coffee grader can detect any over-ripe cherries in the batch, or if there were any defects from the farm or in the post-harvest process. They will also be looking for subtle flavour notes such as fruits, chocolate or flowers. The coffee is evaluated based on aroma, fragrance, flavour, aftertaste, acidity, body, balance, uniformity, clean cup, sweetness and defects. 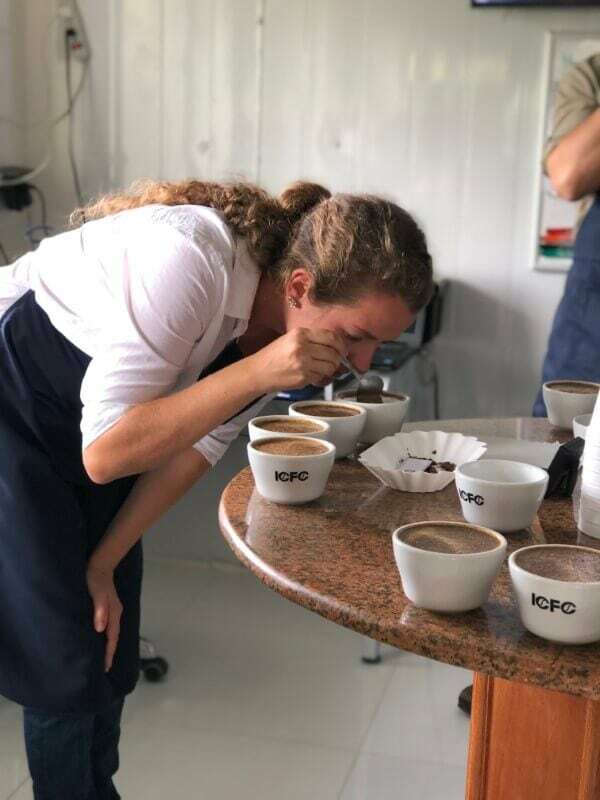 Each area is given a score and if your final evaluation scores over 80 (in a range out of 100) your coffee qualifies as Specialty. If you are in the high 80’s and low 90’s, like the award wining Geisha from Panama…you are in the top 1-3% of coffees in the world. In only our 3rd harvest we already have all of our coffee cupping at 80 points and well above with some reaching 86 and 87 points. Not a bad start! 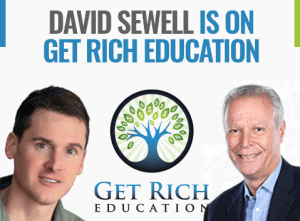 So, what does all this mean to you and how can you profit from Specialty Coffee? 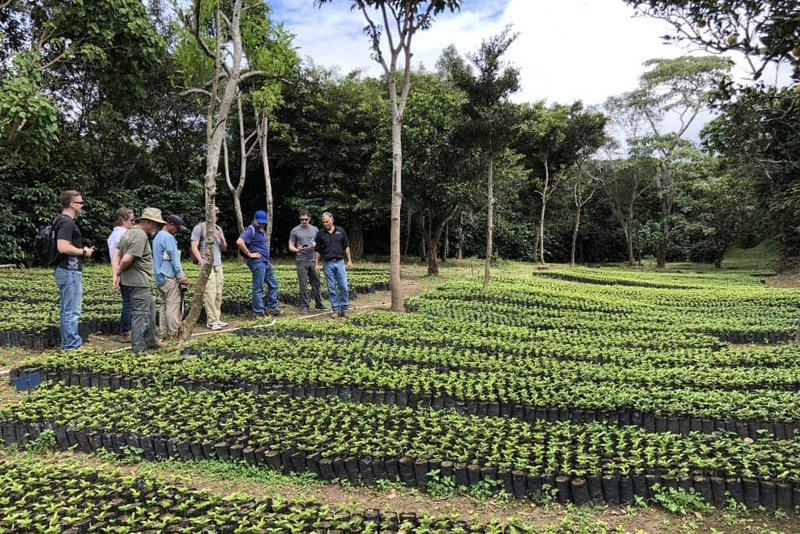 If you are looking to own turnkey managed real estate that produces and sells defect free, high grade Specialty Coffee into the massively under-supplied markets worldwide…then our half acre parcels of coffee farmland in Panama should make up a portion of your portfolio.